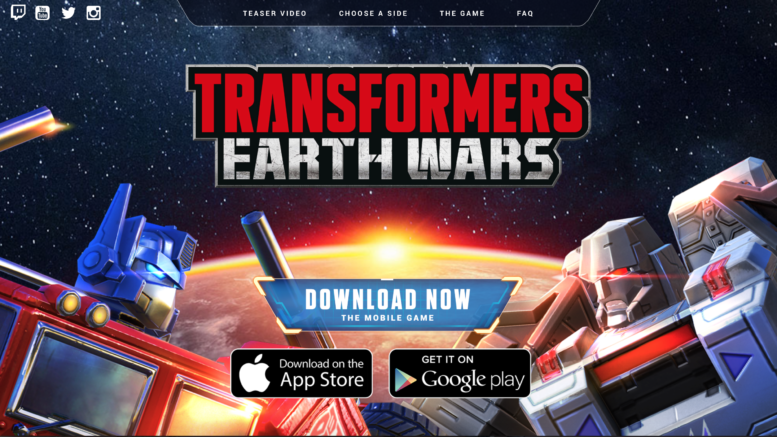 Welcome to the latest in our series of articles about the Transformers Earth Wars mobile game where we take a look at the best Power Cores for each TFEW bot. While our staff will never claim to have all of the answers for TFEW, we do our homework and test out each bot to ensure we are making only the best recommendations. Cutthroat and Tracks are not your traditional Special Class bots. Their DPS and HP make them seem like fliers. Their DPS is second only to Swoop and Scourge, making them formidable attackers. Their HP is very similar to Swoop and Scourge as well, which also makes them very vulnerable. So, which core works best for these bots? Best Core: Attack – Cutthroat and Tracks do not have the same range of cores available to them that more traditional fliers would as they are in the special class. However, their Smoke Bomb ability prevents them from receiving damage, which diminishes the need for cores of a defensive nature. In general, you would want to deploy these bots behind your troops as they moved into the base as these bots would be vaporized without having first deployed the smoke! Prime Core Options: Two Prime Cores stand out for Tracks and Cutthroat – the Alpha Trion and Nexus Prime Cores. The Alpha Trion Prime Core generates 1 ability point to your team every few seconds (35 seconds at level 1, 13.5 seconds at level 10), thus granting as many as 13 extra ability points in a 3 minute battle at level 10 as long as you can keep Tracks/Cutthroat alive. However, the new Nexus Prime Core is also a great fit as, like the Alpha Trion Prime Core, it does not help the equipped bot but instead helps the team. Since the Nexus Prime Core enhances the combiner’s offensive output, a bot like Tracks or Cutthroat, who help defend their teammates with the Smoke Bomb special, will not need one of the other cores at a high level to be effective. Be the first to comment on "TFEW: Best Power Cores for Tracks & Cutthroat"